The Best of Earth, Wind & Fire, Vol. 1 is the definitive chronicle of Earth, Wind & Fire’s reign as innovative soul-funk hitmakers in the 1970s. Originally released in 1978, this multi-platinum collection features 10 unforgettable hits including “Shining Star,” “Sing a Song,” “Getaway” and “Fantasy,” plus three exclusive tracks including a Grammy-winning cover of The Beatles’ “Got to Get You Into My Life” and the immortal dance floor hit “September,” a Top 10 hit on both sides of the Atlantic. During the 1970s, a new brand of pop music was born – one that was steeped in African and African-American styles – particularly jazz and R&B but appealed to a broader cross-section of the listening public. As founder and leader of the band Earth, Wind & Fire, Maurice White not only embraced but also helped bring about this evolution of pop, which bridged the gap that has often separated the musical tastes of black and white America. 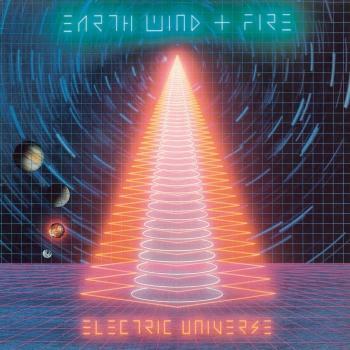 It certainly was successful, as EWF combined high-caliber musicianship, wide-ranging musical genre eclecticism, and ’70s multicultural spiritualism. “I wanted to do something that hadn’t been done before,” Maurice explains. “Although we were basically jazz musicians, we played soul, funk, gospel, blues, jazz, rock and dance music…which somehow ended up becoming pop. We were coming out of a decade of experimentation, mind expansion and cosmic awareness. I wanted our music to convey messages of universal love and harmony without force-feeding listeners’ spiritual content.”Maurice was born December 19, 1941, in Memphis, TN. He was immersed in a rich musical culture that spanned the boundaries between jazz, gospel, R&B, blues and early rock. All of these styles played a role in the development of Maurice’s musical identity. At age six, he began singing in his church’s gospel choir but soon his interest turned to percussion. He began working gigs as a drummer while still in high school. His first professional performance was with Booker T. Jones, who eventually achieved stardom as Booker T and the MGs.After graduating high school, Maurice moved to the Windy City to continue his musical education at the prestigious Chicago Conservatory Of Music. He continued picking up drumming jobs on the side, which eventually lead to a steady spot as a studio percussionist with the legendary Chicago label, Chess Records. At Chess, Maurice had the privilege of playing with such greats as Etta James, Fontella Bass, Billy Stewart, Willie Dixon, Sonny Stitt and Ramsey Lewis, whose trio he joined in 1967. He spent nearly three years as part of the Ramsey Lewis Trio. “Ramsey helped shape my musical vision beyond just the music,” Maurice explains. “I learned about performance and staging.” Maurice also learned about the African thumb piano, or Kalimba, an instrument whose sound would become central to much of his work over the years.In 1969, Maurice left the Ramsey Lewis Trio and joined two friends in Chicago, Wade Flemons and Don Whitehead, as a songwriting team composing songs and commercials in the Chicago area. The three friends got a recording contract with Capitol and called themselves the “Salty Peppers,” and had a marginal hit in the Mid-western area called “La La Time.” That band featured Maurice on vocals, percussion and Kalimba along with keyboardists/vocalists Wade Flemons and Don Whitehead. After relocating to Los Angeles and signing a new contract with Warner Bros., Maurice simultaneously made what may have been the smartest move of his young career. 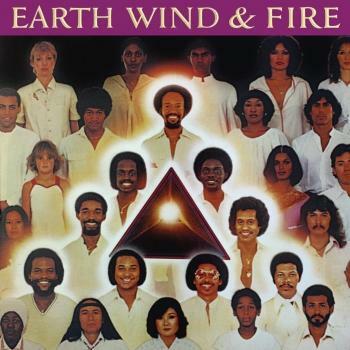 He changed the band’s name to Earth, Wind & Fire (after the three elements in his astrological chart). The new name also captured Maurice’s spiritual approach to music – one that transcended categories and appealed to multiple artistic principals, including composition, musicianship, production, and performance. 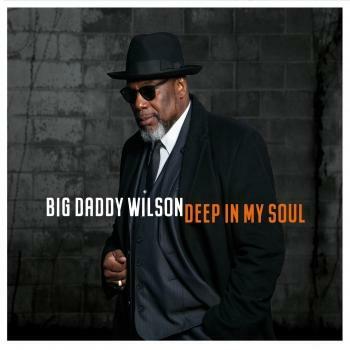 In addition to White, Flemons and Whitehead, Maurice recruited Michael Beal on guitar, Leslie Drayton, Chester Washington and Alex Thomas on horns, Sherry Scott on vocals, percussionist Phillard Williams and his younger brother Verdine on bass. 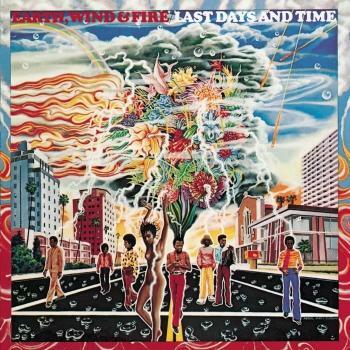 Earth, Wind & Fire recorded two albums for Warner Brothers: the self-titled 1970 album Earth, Wind And Fire and the 1971 album The Need Of Love. 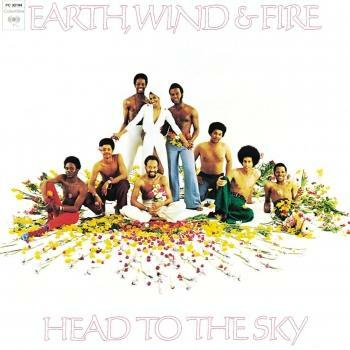 A single from this album, “I Think About Lovin’ You,” provided EWF with their first Top 40 R&B hit. Also in 1971, the group performed the soundtrack to the Melvin Van Peebles film ‘Sweet Sweetback’s Baadasssss Song’. 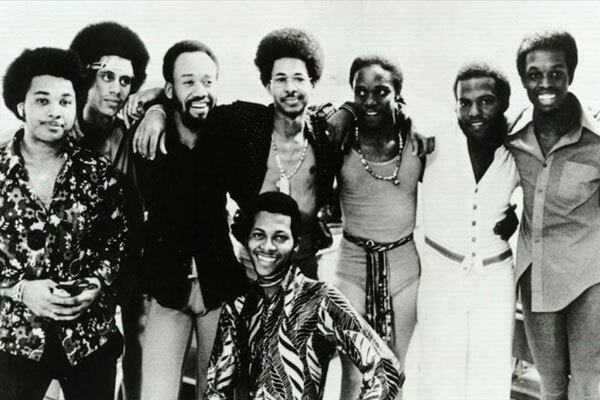 In 1972, White dissolved the line-up (except he and brother Verdine White) and added Jessica Cleaves (vocals – formerly of the R&B group The Friends of Distinction), Ronnie Laws (flute, saxophone), Roland Bautista (guitar), Larry Dunn (keyboard), Ralph Johnson (percussion) and Philip Bailey (vocals, formerly of Friends & Love). Maurice became disillusioned with Warner Brothers, which had signed the group primarily as a jazz act. Maurice, in contrast, was more interested in combining elements of jazz, rock, and soul into an evolving form of fusion, a truly universal sound. 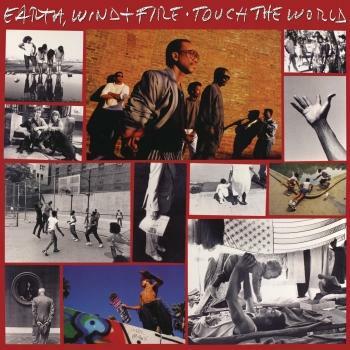 A performance at New York’s Rockefeller Center introduced EWF to Clive Davis, then President of Columbia Records. Davis loved what he saw and bought their contract from Warner Bros. With Columbia Records, debuting with the 1972 album Last Days And Time, the group slowly began to build a reputation for innovative recordings and exciting, live shows, complete with feats of magic (floating pianos, spinning drum kits, vanishing artists) engineered by Doug Henning and his then-unknown assistant David Copperfield. Their first gold album, Head To The Sky, peaked at number 27 pop in the summer of 1973, yielding a smooth tangy cover of “Evil” and the title track single. 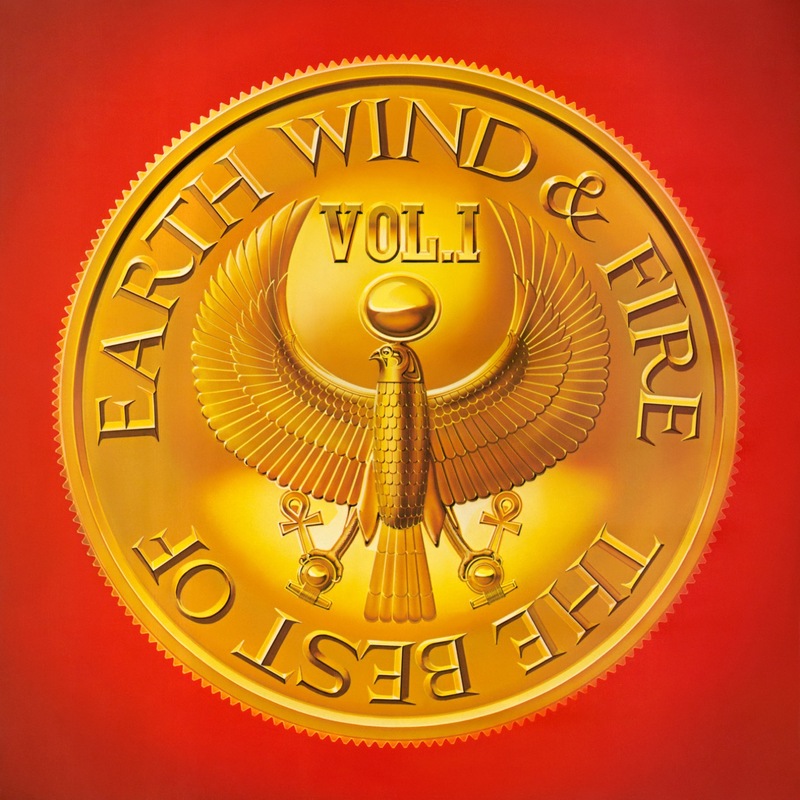 The first platinum EWF album, Open Our Eyes, whose title track was a remake of the classic originally recorded by Savoy Records group the Gospel Clefs, included “Mighty Mighty” (number four R&B) and “Kalimba Story” (number six R&B). Maurice once again shared a label roster with Ramsey Lewis, whose Columbia debut Sun Goddess, was issued in December 1974. The radio-aired title track was released as a single under the name Ramsey Lewis and Earth, Wind & Fire. It went to number 20 R&B in early 1975. The Sun Goddess album went gold, hitting number 12 pop in early 1975. Maurice had also played on Lewis’ other high-charting album, Wade In The Water; the title track single peaked at number three R&B in the summer of 1966. The inspiration for “Shining Star” (one of EW&F’s most beloved singles) was gleaned from thoughts Maurice had during a walk under the star-filled skies that surrounded the mountains around Caribou Ranch, CO a popular recording site and retreat during the ’70s. 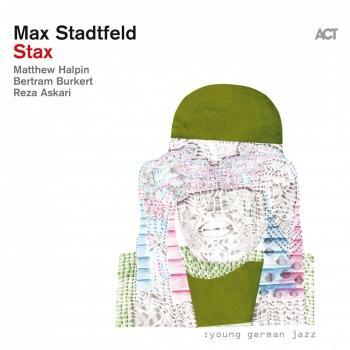 The track was originally included in the ‘That’s The Way Of The World’ movie that starred Harvey Keitel and was produced by Sig Shore (Superfly). “Shining Star” glittered at number one R&B for two weeks and hit number one pop in early 1975. It was included on their 1975 multi-platinum album That’s The Way Of The World that held the number one pop spot for three weeks in Spring 1975 and earned them their first Grammy Award. The title track single made it to number five R&B in summer of 1975. It also yielded the classic ballad “Reasons,” an extremely popular radio-aired album track. The multi-platinum album Gratitude held the number one pop album spot for three weeks in late 1975. On the album was “Singasong” (gold, number one R&B for two weeks, number five pop), the Skip Scarborough ballad “Can’t Hide Love” (number 11 R&B), and the popular radio-aired album tracks “Celebrate,” “Gratitude,” and the live version of “Reasons.” In 1976, Maurice decided he wanted to record a spiritual album. The multi-platinum album Spirit parked at number two pop for two weeks in fall of 1976 and boasted the gold, number one R&B single “Getaway” and “Saturday Nite.” Spirit is remembered as one of EWF’s best albums and sadly for also being the last project of Producer Charles Stepney. He died May 17, 1976, in Chicago, IL, at the age of 45. Charles was a former Chess Records arranger/producer/session musician/multi-instrumentalist/songwriter and Maurice’s main collaborator on his EWF projects. The multi-platinum album All ‘N All peaked at number three pop in late 1977, won three Grammy’s, and had arrangements by Chicago soul mainstay Tom Tom Washington and Eumir Deodato. 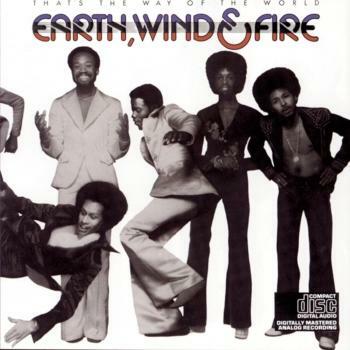 The singles were “Serpentine Fire” (number one R&B for seven weeks) and “Fantasy.” The group’s horn section, the legendary Phenix Horns (Don Myrick on saxophone, Louis Satterfield on trombone, Rahmlee Michael Davis and Michael Harris on trumpets) became an integral part of the Earth, Wind & Fire sound. During this time, Maurice produced several artists such as The Emotions (1976’s Flowers and 1977’s Rejoice which included the number one R&B/pop hit “Best Of My Love”) and Deniece Williams (1976’s This Is Niecy which included the Top Ten R&B hit “Free”). In the late seventies, in association with Columbia Records, Maurice also launched a record label, ARC. The multi-platinum greatest-hits set The Best Of Earth, Wind & Fire, Vol. I included a cover of the Beatles’ “Got To Get You Into My Life” went to number one R&B and number nine pop in Summer 1978. The group performed the song in the 1978 Bee Gees/Peter Frampton movie ‘Sgt. Pepper’s Lonely Hearts Club Band’. Another single, “September,” made it to number one R&B, number eight pop in early 1978. On the flip side was the enchanting popular radio-aired album track “Love’s Holiday” from All ‘N All. The million-selling funked-up “Let’s Groove,” co-written by The Emotions’ Wanda Vaughn and her husband Wayne Vaughn, was the track that re-energized EWF’s career, parking at number one R&B for eight weeks and number three pop, causing their Raise! 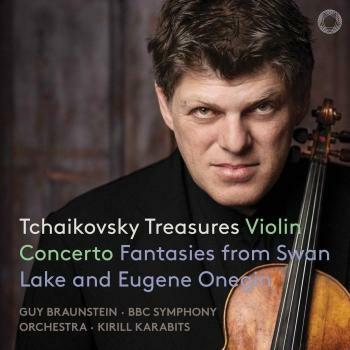 album to go platinum (hitting number five pop in late 1981). Their next gold album Powerlight made it to number 12 pop in spring 1983 and included the Top Ten R&B single and Grammy-nominated “Fall In Love With Me.” Their 1983 Electric Universe album stalled at number 40 pop, breaking the band’s string of gold, platinum and multi-platinum albums. In 1983, Maurice decided he and the band needed a break. During this hiatus, Maurice recorded his self-titled solo album Maurice White and produced various artists including Neal Diamond, Barbra Streisand and Jennifer Holliday. 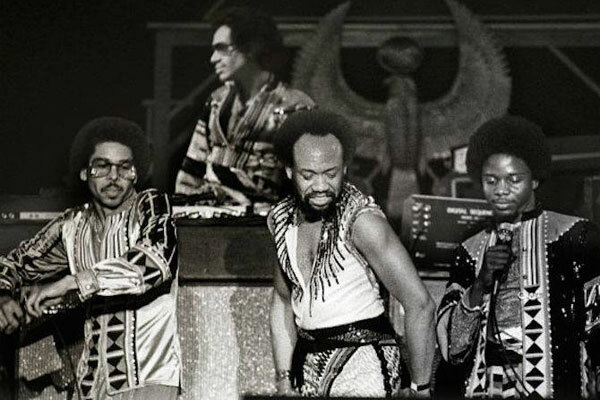 Reuniting with the band in 1987, EWF released the album Touch The World and scored yet another number one R&B single, “System of Survival” and embarked on a corresponding nine-month world tour. This was followed by the 1988 release The Best Of Earth, Wind & Fire Vol. II. 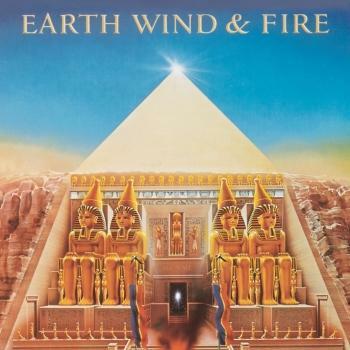 Earth, Wind & Fire kept recording and in 1996 released Avatar and Greatest Hits Live; followed by 1997’s In The Name Of Love; 2002’s That’s The Way Of The World: Alive In ’75; Live In Rio which was recorded during their 1979 “I Am World Tour;” 2003’s The Promise, which included the Grammy-nominated “Hold Me” and 2005’s Illumination, which included the Grammy-nominated “Show Me The Way.” r one night only in honor of their induction into The Rock And Roll Hall Of Fame. 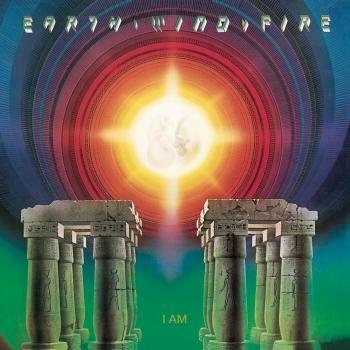 In 2001, Eagle Rock Entertainment released the documentary ‘Earth, Wind & Fire: Shining Stars’, which contains rarely seen historic video footage along with in-depth interviews with the band members.